A bass for beginners but Which Bass? You want to play bass but don’t know where to begin. 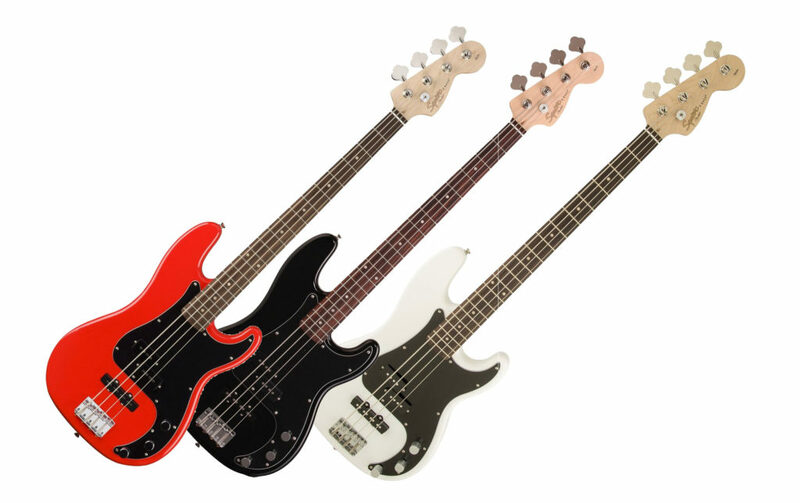 “Which bass should I buy?” You ask. There are endless basses on the market but there is one in particular that is a must have for beginners. That bass is a Squier Affinity Precision Jazz. Out of all the choices you can make for your first bass, this is the one and only go-to model for beginners and will match your skill level as you grow for years to come. The Squier Affinity Precision Jazz Bass is the most affordable entry model but still boasts an excellent roadworthy construction. With the bar to entry so low, anyone can play it for all musical styles. Separate volume controls for each pickup – With only 3 knobs, beginners won’t have a problem finding a tone they like as the Precision Jazz is super easy to dial in. Built with a “C” shaped neck and 20 fret fingerboard – Easy to hold with larger frets give better clearance and an easier learning curve. This feature helps beginners hone their finger work correctly without punishment. Best of both basses – With a Precision split coil pickup installed at the neck and a single coil Jazz pickup in the bridge. Allowing an endless range of tone, from Jazz all the way to Death Metal. Louder output than most basses – Express yourself loudly as this bass can be driven louder than it’s counterparts before amplification. You can find out more about the Squier Affinity Precision Jazz bass on our buyers guide page. Read the full specifications and options of colours available or take a look at the beginners starter packs now available.